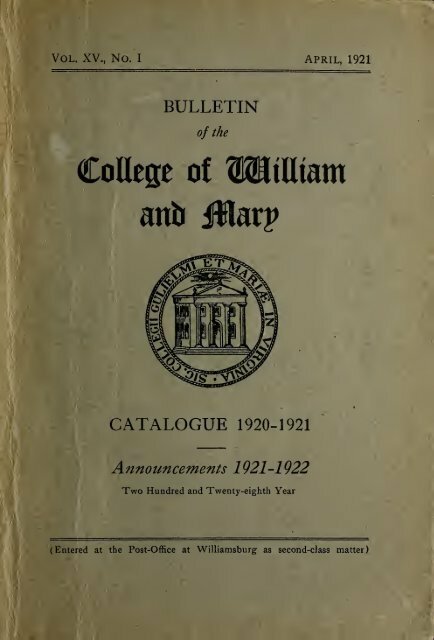 Page 20 and 21: i6 College of William and Mary Mrs.
58 College of William and Mary 2d. 6o College of William and Mary 2c. 78 College of William and Mary ic. 8o College of William and Mary 2c. go College of William and Mary 2a. pS College of William and Mary 2c.